As a business owner who may be interested in what the possible hazards are in their workplace should review OSHA’s yearly top ten list of violations for the previous year. By doing so, the business owner can see if they are covering all potential hazards and identifying what possible changes they may have to make to provide safety for all employees including visitors and their health program. The data that is provided each year of OSHA cited violations remains essentially the same year after year. However, this does not imply OSHA is not doing their job, or that businesses are not making changes to avoid accidents. The list of violations is meant to be used by employers as a tool to improve safety at their worksites. 1. FALL PROTECTION: OSHA standard 1926.501 requires fall protection for walking or working platforms of six feet or higher above lower levels, roofing activities on low-slope or steep roofs, residential construction, and protection from falling through holes. 2. HAZARD COMMUNICATION: OSHA standard 1910.1200 requires a written hazard communication program, hazardous chemical training and information requirements, labeling of hazardous chemical containers, material safety data sheet (MSDS) for chemical manufacturers and importers, and copies of material safety data sheets must be maintained and easily accessible to employees. 3. SCAFFOLDING: OSHA standard 1926.451 requires fall protection on scaffolds higher than ten feet above a lower level, each platform on all working levels are to be fully planked or decked between the front uprights and the guardrail supports, platforms more than two feet above or below a point of access prohibits the use of crossbars as a means of access, firm foundation of scaffold, and guardrail provisions. 4. RESPIRATORY PROTECTION: OSHA standard 1910.134 requires where respirators are necessary, the establishment of a written respiratory protection program with worksite-specific procedures, medical evaluation to determine employee’s ability to use a respirator prior to fit testing or use, voluntary use of respirators, annual fit-testing for each type of respirator face piece used by an employee, and general outline for respirator selection. 5. 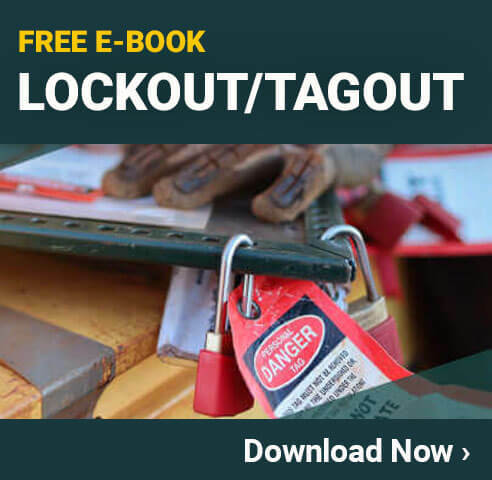 LOCKOUT/TAGOUT: OSHA standard 1910.147 requires energy control procedures, periodic inspections of energy control procedures, training and communication, energy control programs, and application of lockout/tagout devices. 6. POWERED INDUSTRIAL TRUCKS: OSHA standard 1910.178 requires safe operation of industrial trucks, refresher training and evaluations, certification of each operator that has been trained and evaluated, trucks in need of repair to be taken out of service until restored to safe operating condition, and examination of trucks before they are placed into service. 7. LADDERS: OSHA standard 1926.1053 requires side rails to extend at least three feet above an upper landing surface, or be secured at its top to a rigid support, use is restricted to only the purpose for which they were designed, prohibiting using the top or top step of a stepladder as a step, defective ladders to be marked with a “Do Not Use” notification and withdrawn from service until repaired, and prohibits and employee from carrying any object that may cause the employee to lose balance and fall. 8. ELECTRICAL-WIRING METHODS: OSHA standard 1910.305 requires proper use of flexible cords and cables, procedure for conductors entering boxes, cabinets and fittings, identification, splices and terminations, covers and canopies, and temporary wiring. 9. MACHINE GUARDING: OSHA standard 1910.212 requires guarding to protect employees in the machine area from hazards, point of operation guarding, secure anchoring of machinery for machines at a fixed location, guarding of blades, and general location of a machine guard. 10. ELECTRICAL-GENERAL REQUIREMENTS: OSHA standard 1910.303 requires listed or labeled equipment to be installed and used in accordance with the instructions included in the listing or labeling, sufficient access and working space for all electric equipment to allow safe operation and maintenance, guarding of live parts, electrical equipment to be free from recognized hazards likely to cause death or serious physical harm, and each disconnecting means required by this subsection for motors and appliances shall be legibly marked to indicate its purpose. Safety in the workplace should be considered an employer’s top priority for its employees, visitors, and the business itself. Creating a safe environment will improve production, reduce workers’ comp, make you the top leader with your competitors in the market, and above all make you successful. 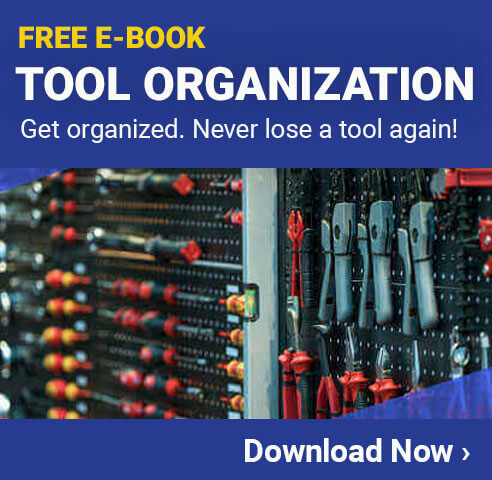 A simple, affordable and easy way to create a safe environment and avoid accidents is by understanding OSHA’s standards, using safety products and training tools. As a leading supplier of safety products, Creative Safety Supply makes it their number one priority to make sure businesses understand safety regulations by offering a variety of training tools including free guidance booklets. The extensive product offering at Creative Safety Supply is guaranteed to provide your business with all your safety requirements to make you successful.